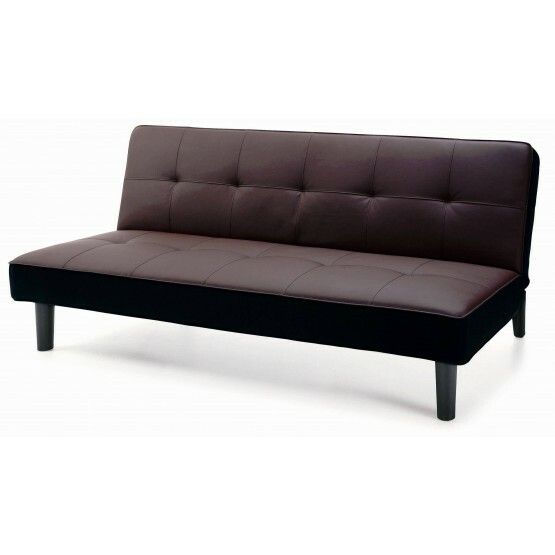 This modern brown sofa bed is part of the Klik Klak collection and doubles as a 3-seater sofa when folded and full size bed when pulled out. 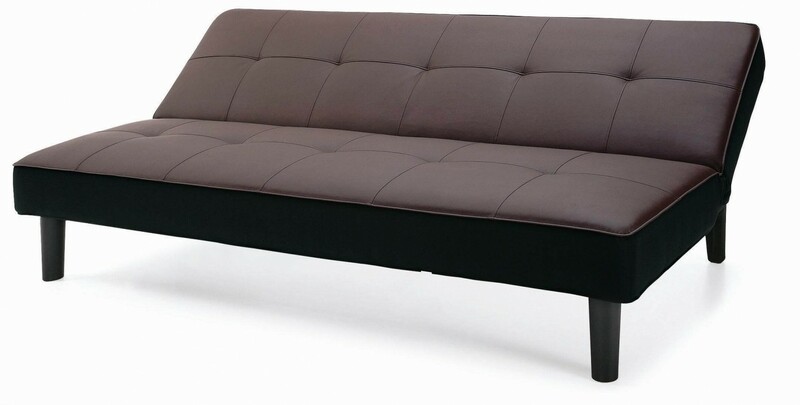 Made of 100% polyurethane vinyl material and high density foam, this sofa is perfect for accomodating unexpected guests or turning any room into a guest room. 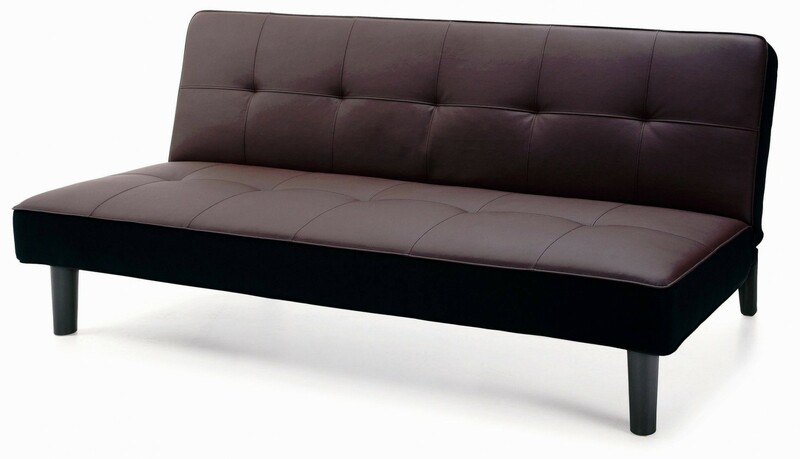 W70.47" x D36.81" x H30.31"
W70.47" x D42.52" x H14.57"